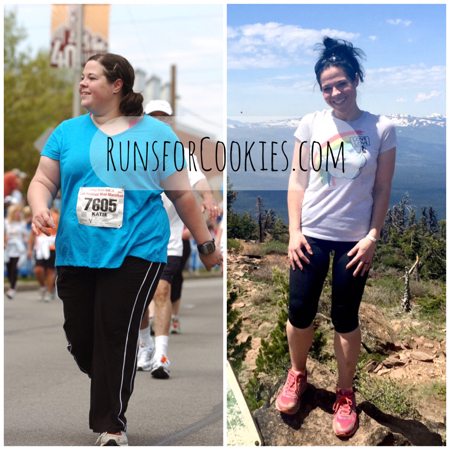 Runs for Cookies: Fed Up with Being Fat! Congrats on losing the weight and maintaining it so long! Such a great accomplishment!! You have done so much...who knew weight can hold one back so. I think this is true with any "extra amount of weight" any one is carrying which makes them feel less of themselves. Love ALL of this, Katie! I'm so happy for you and your family. "I love that I know what it feels like to be obese, and I have empathy for others." This right here is one of my top ones as well. I also love that I fit comfortably in an airplane seat AND I can actually use the bathroom on the plane. Woo hoo! You are such an inspiration Katie... congratulations on all your fabulous accomplishments. One person CAN make a difference and you are proof! I will celebrate my 8th anniversary of starting on this journey in four months. Life is completely different now and like you, I have done so many new and wonderful things since losing half of me! It continues to be a struggle but that's okay. I'm never going back. Thank you for sharing your story. I never get tired of hearing about your journey. Congratulations for all you have accomplished since you got 'fed up'. Woohoo!!! Happy 8 years of health and healthy living! Here's to many, many, MANY more. You took your life back, one step at a time. Thank you for sharing that with us. :-). I love your honesty. Great job. Congratulations!! You really have been a huge inspiration for me. I am at the same starting weight you were 8 years ago. I stumbled across your blog about 3 years ago at a pretty sad time in life and thought you were quite impressive but I still lacked the confidence in myself. Finally I am feeling fed up. 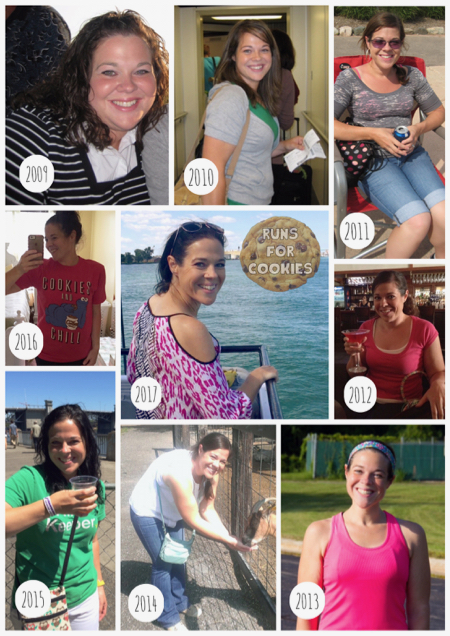 I am starting my weight loss journey, and I am fully planning on blogging my journey. I hope I can be an inspiration to at least a quarter of the number of people you have touched..I guess if I can help at least 1 person I'd honestly be happy (even if that one person is myself haha). I wanted to thank you because your blog has been in the back of my mind lately and feel it is what is keeping me inspired while I research health and blogging <3 congratulations again! I'm with you 100% on this. I still have about 50 pounds to go (I'm 50 pounds down thus far, too), and I can tell you that being able to cross my legs was one of the greatest feelings I've ever had, seriously. Thank you for sharing your journey, and especially your mental health journey right now. I hope you continue for a long time to come, seriously:). Hi Katie! Thanks for your blog. I have been fed up! many times and have usually reached out to a program such as Weight Watchers. I am at a point where nothing works. I think I have messed up my body's equilibrium or balance after all these years of yo-yo diets. I am going to try the simple route of portion control. Wish me luck. By the way, I am close to 265# at 5'7". What is your height, just curious. I did a search on her blog and I think she's 5'4"
Love this post - You've come so far! Just think of what adventures lie ahead ! You're healthy and ready! This is such an inspiring post and echoes so many of my own thoughts. Thank you for sharing so openly! Great post!!! 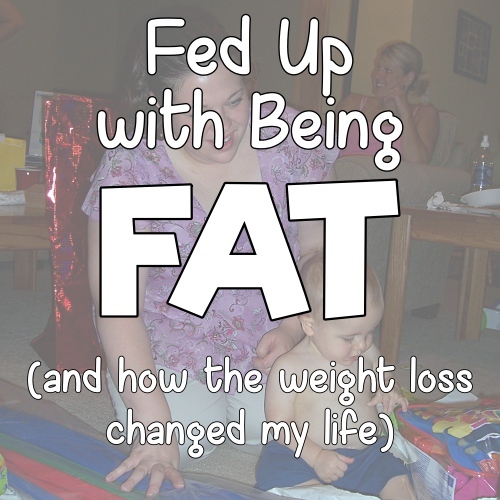 Have you seen the movie "Fed Up" on Netflix? While I think there is some bias in it (they overplay sugar's role in obesity that exaggerates the available science), I think it is an excellent documentary on the food industry and why obesity has become such an epidemic in our society, and how the "science" of weight loss is so confusing, and that its not just a simple case of calories in vs. calories out, there is so much more at play. I found it very enlightening. Very insightful post...Kate has a gift for words! I especially liked the comment about, 'not thinking about food all day.' That didn't happen for me until I gave up diet soda and replaced it with seltzer water...90% of my cravings went away...amazing.